There is a large, untapped potential for developing drugs against cancer, fibrosis and cardiovascular diseases by targeting a family of receptors known as Frizzleds, researchers at Karolinska Institutet in Sweden believe. In a new study published in Science Signaling, they identify how these receptors are activated in the cell membrane and the processes that are then triggered within the cell. 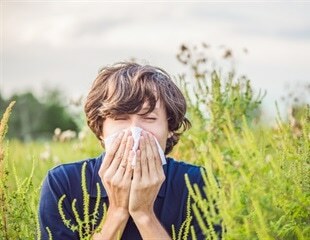 A group of Brazilian researchers succeeded in preventing allergic asthma from progressing in experimental models by increasing the amount of a protein. This increase, in turn, blocked the CD4+ T lymphocytes responsible for producing a cytokine that triggers a cascade of events resulting in the onset and progression of the disease. What treatments are available for patients with the rare inflammatory disease known as urticarial vasculitis? How effective are these treatments? Researchers from Charité - Universitätsmedizin Berlin embarked on a systematic review and meta-analysis to address these questions. Surgery can be hard on older adults, resulting in serious complications and death far more often than in younger patients. But many seniors aren't adequately prepared for the risks they might face. Allergy specialists like Dr. Shelly Harvey are again readying themselves for mountain cedar, the annual irritant that makes noses run and eyes itch – potentially transforming the merriest of holiday well-wishers into miserable Ebenezer Scrooges.